Web development on the Microsoft platform has always had its hurdles. With Windows XP, your development environment would use IIS 5 where as the server that would host the production site would be IIS 6. Additionally, there was the issue where we were limited to a single website running on that machine (this was a pain when working on multiple projects at the same time). Microsoft’s virtual web server that would get kicked off by Visual Studi0 (Casini) alleviated some of the hardships by allowing each one of your web projects to run on an individual site. With the release of IIS 7, and particularly the rewrite rules that they provided, we ran into another issue where our production environments supported rest-full, SEO friendly URLs but the virtual web servers initiated by Visual Studio would not be able to process the URLs. UPDATE: NAnt 0.91 Alpha 2 has been released with support for .NET 4. Download it here. UPDATE: CruiseControl.NET 1.5 (Final) has been released and is available here. UPDATE CruiseControl.NET 1.5 RC1 has been released and is available here. My Cruise Control .NET implementation consists of numerous development projects each with multiple different Cruise Control .NET projects associated with it (one per environment per branch). In order to make the projects more maintainable, I have created a separate configuration file for each development project. Defining variables and separating ccnet.config configuration file into smaller files allows for easier maintenance of each project over their lifetimes. Check out the Cruise Control .NET website for complete explanation of variables using the pre-processor. On caveat with this idea is that changes to the separate configuration files are not recognized until the cruise control is restarted by either restarting the service or modifying the ccnet.config file. The NAnt target below is a full parameterized call to MsBuild.exe to compile any solution. ThoughtWorks.CruiseControl.MsBuild.dll provides an MSBuild logger that allows Cruise Control .NET to report the bulid output. 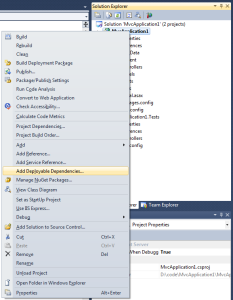 MSBuildPath – The path to the MsBuild executable. SolutionFile – The relative path from the build file to the solution file. Fully qualified paths are also allowed. 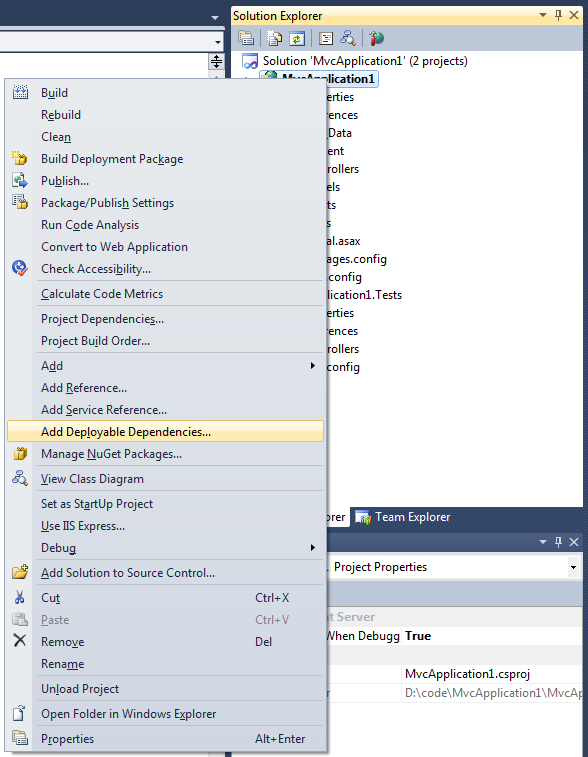 SolutionConfiguration – “Release” or “Debug”. My latest project at work has me working with WCF for the first time and it has been an interesting experience. Over the next few weeks, I will be discussing configuration, debugging, and deployment of the WCF service and connecting to it. 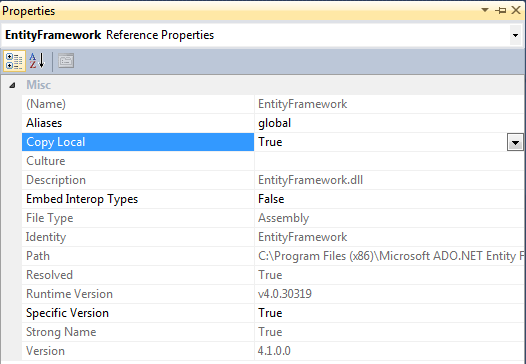 Microsoft provides a few tools that can help debug your WCF services. Typically, I add Global.asax to a web application in ASP.NET and use the Application_Error event to handle any uncaught exceptions. This doesn’t work (still looking into why) for WCF services, even when hosted on IIS. A good work around is to wrap each service method with a try…catch block and calling the exception logger in the catch block. Unit tests are especially helpful (aren’t they always?) in the development of your WCF services as messages from errror and exceptions can (and will) be hidden by subsequent errors. An invalid parameter to a stored procedure call can result in a high level System.ServiceModel.CommunicationObjectFaultedException.